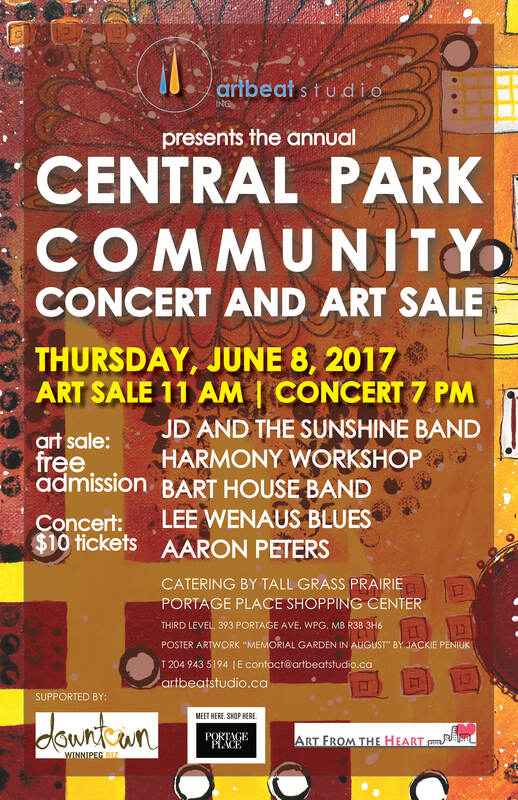 Artists are invited to participate in our community art sale situated on the third floor of Portage Place Shopping Centre, in the area outside the Globe Cinema, IMAX and washrooms surrounding the escalators. The “Central Park Community Concert and Art Sale” will consist of two events, the first being the community art sale and the second a community concert. Both events promote community development and celebration! The event introduces the Central Park community to cultural diversity through culinary, musical and artistic mediums. There is no charge to the artists for exhibition. Exhibiting artists and patrons will be surveyed for views on the event. Deadline for application forms is May 15th.